It says something about a school when parents are willing to apply to have their child enrolled there, even if it’s not the closest school to their home. One family that did that is Rachel Kidd’s, whose son Liam is in Kindergarten at St. John the Baptist-King Edward School, located deep in the south end of Saint John. The reason? 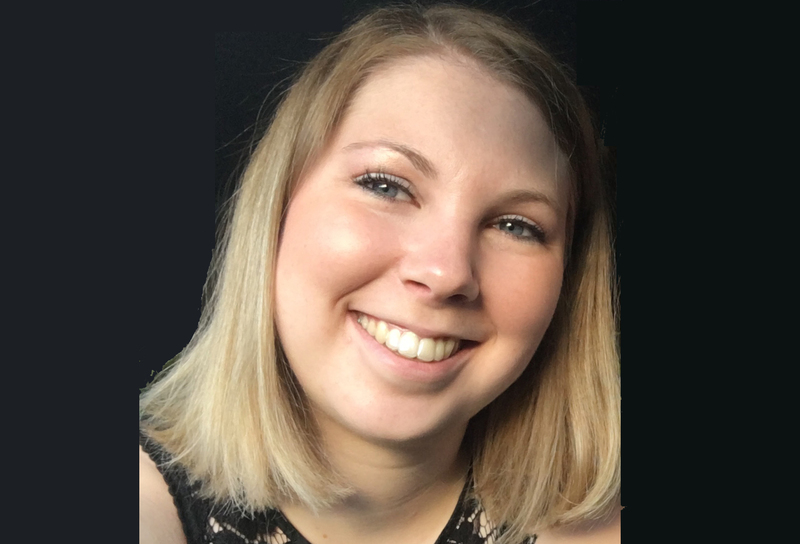 Because she was looking for a school where her son’s complex needs would be accepted, where he could learn and succeed, and where he would be included in his classroom with his peers. She found that at SJB-KE, where she also found the teacher that made it happen. That teacher, Ms. Janet Flood, and her peers that make up the K to 2 team at St. John the Baptist-King Edward School, are recipients of a 2018 National Inclusive Education Award. 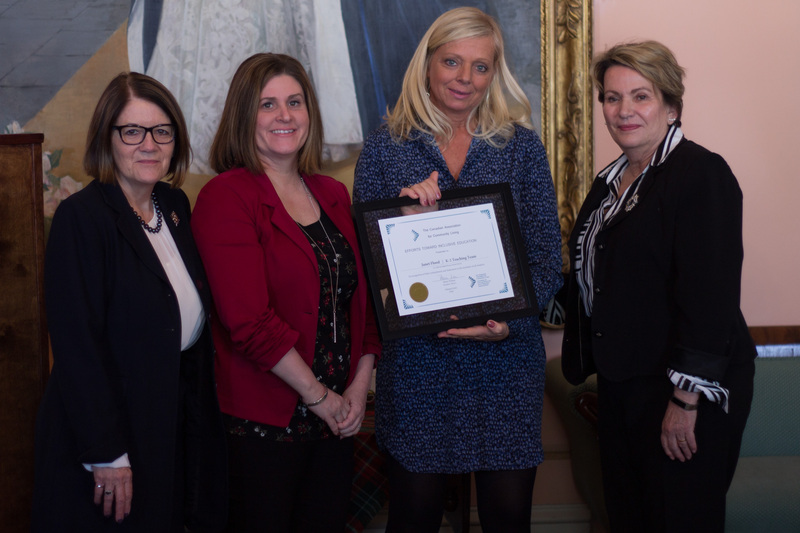 They received the National Recognition Certificate at a ceremony at Government House in Fredericton on Thursday, February 9. Presented by the Canadian Association for Community Living (CACL), the certificates recognize individuals or groups that have made or are making an outstanding contribution to inclusive education in their province or territory. The event, organized by NBACL on behalf of the Canadian Association for Community Living (CACL), is the focal point for celebrations marking National Inclusive Education Month. Liam is on the Autism spectrum and, due to difficulties with communication, has had behaviour issues that caused his parents to worry about his entry into Kindergarten. “At the school we’re zoned for, Liam went to one hour of the Kindergarten prep day,” Ms. Kidd wrote in her letter of support for Mrs. Flood’s nomination. Things didn’t go well, and that one unsuccessful hour sparked weeks of anxiety for Liam, and for his parents, to the point where they decided to look into different schools. “The Ten Year Plan for Education . . . talks about everyone at their best, and how students, families, school staff and the department can play a part in ensuring this goal. At St. John the Baptist-King Edward School, I have seen the best countless times as a parent and a volunteer. “I have seen the change in my own children as they witness the exceptionalities in their classmates being embraced and celebrated. The Canadian Association for Community Living has been recognizing outstanding inclusive practices in Canada’s education system annually since 2007, with provincial and territorial community living associations like NBACL charged with accepting nominations and selecting recipients. NBACL is a provincial, non-profit organization that works on behalf of children and adults with an intellectual disability and their families to end exclusion and ensure that persons with an intellectual disability live, learn, work and participate in community as valued and contributing members.